Explainer: How will finance work if there’s a no-deal Brexit? London is Europe’s biggest financial center, with the EU its top export market, meaning that without contingency arrangements markets, banking, asset management and insurance across Europe would be left in chaos. But preparations are underway on both sides of the Channel to avoid the worst effects of any no-deal Brexit. Britain is approving a law that would allow branches of EU banks and insurers in Britain to continue serving UK customers, giving them time to apply for permanent authorization. After the EU refused to reciprocate to cover British banks doing business with European clients, EU states have begun taking unilateral action. Germany, Italy, France, the Netherlands, Sweden, Luxembourg, Ireland and Norway are planning to allow UK financial firms to keep undertaking limited business for a fixed period of time after March if there is no deal, giving breathing space for new EU banking and insurance hubs to get bedded down. 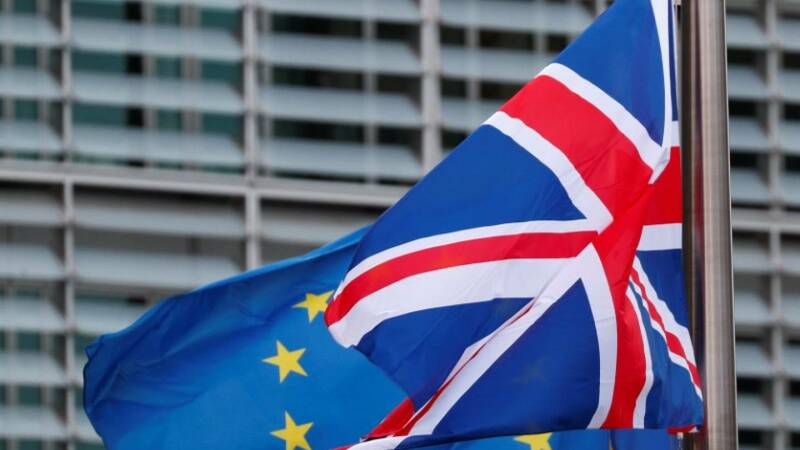 British and EU regulators have agreed pacts to exchange information and cooperate on supervision in the event of a no-deal Brexit to avoid immediate disruption to cross-border activity in derivatives clearing, credit ratings agencies, trade reporting venues and asset management. WHAT ARE THE BANKS UP TO? Many international banks use London as their European base but with the possibility of a hard Brexit in the short term, and the likelihood of patchy EU access from Britain in future, they are moving to open hubs in the bloc by March 29. The banks, which trade stocks, bonds, repos and derivatives, are moving 800 billion pounds of assets to make their new hubs in Frankfurt and Paris operational by next month, according to consultancy EY. The new hubs will be allowed to continue booking some trades centrally in London for now, on condition they build up activities and staffing within their new operations over the next few years. Lloyd’s of London insurance market has opened a Brussels subsidiary to write European policies and avoid potential disruption to EU customers. Insurers like AIG are shifting blocks of policies from EU customers to new hubs in the EU to become Brexit-proof by March. EU insurance watchdog EIOPA has calculated there are 9 million customers across Europe still facing potential disruption to policies worth a collective 7.4 billion euros if there is a no-deal Brexit, but say that is not likely to threaten financial stability and require EU contingency action. ICE Futures in London is one of Europe’s two main derivatives exchanges – the other is Eurex in Frankfurt. Unlike stock and bond trading platforms, ICE has no plans to shift trading to the continent. Instead it is obtaining permission from individual EU states like Germany and the Netherlands to allow customers there to continue trading on ICE in London. Banks are shifting some outstanding derivatives contracts for EU customers from London to new hubs in the bloc. Asset managers in Britain feared that a no-deal Brexit would stop them from managing funds listed in Luxembourg, Dublin and elsewhere in Europe, a cross-border activity known as delegation. London-based Cboe Europe, the biggest pan-European stock exchange, is opening a new hub in Amsterdam to which its trading in euro-denominated shares will move from the start of April, irrespective of what sort of Brexit is agreed. London Stock Exchange’s pan-European Turquoise platform is also opening a hub in Amsterdam by the end of March and could move trading in euro-denominated shares there. Aquis is opening a new hub in Paris to which it will move its euro-denominated share trading. Shifting trading could be followed by a similar relocation in some clearing to EuroCCP in the Netherlands. Cutting off Britain would, however, disrupt the operation of EU rules that ensure transparency in share trading. CME-owned BrokerTec, a bond and repurchase agreement (repo) trading platform, is moving its 210 billion-a-day euro-denominated trading to a new Amsterdam hub by March 18 to avoid splitting liquidity, even if there is a Brexit deal. Spot forex trading is set to stay in London even if there is a no-deal Brexit. But CME unit EBS is moving foreign-exchange forwards and swaps trading from London to Amsterdam by March 18, even if there is a Brexit deal. Likewise, Refinitiv is transferring its $300 billion-a-day forex derivatives trading to Dublin from London, while leaving its $100 billion-a-day spot trading in London. The London Metal Exchange has applied to German and Dutch regulators for dispensation from the requirement to be licensed as a foreign trading venue so that customers in those two countries can continue using the UK-based platform for trading copper, aluminum and other metals. The EU has said if there is no deal, customers in the bloc could continue clearing their metals trades on LME for up to a year. WHAT HAPPENED TO THE EURO CLEARING EXODUS? London dominates euro-denominated derivatives clearing but it would be impossible to shift trillions of euros of contracts to the continent by March to avoid disruption from a no-deal Brexit that could threaten financial stability. Brussels has acknowledged this by saying that in the event of a hard Brexit it would allow EU customers to continue using UK-based clearing houses like LCH until the end of 2020 to give more time to shift positions, and for rival clearers like Eurex in Frankfurt to build up capacity. EU securities regulators and the Bank of England have also agreed a cooperation pact for supervising cross-border clearing operations.